Today, when you order "Folding Coin (U.S. Quarter) by Royal Magic", you'll instantly be emailed a Penguin Magic gift certificate. You can spend it on anything you like at Penguin, just like cash. Just complete your order as normal, and within seconds you'll get an email with your gift certificate. A spectator is handed a regular bottle to examine. 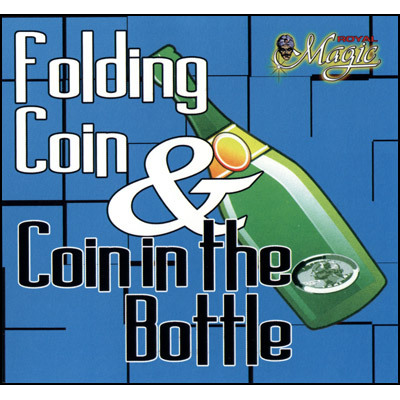 Next, a coin is borrowed and magically made to penetrate through the bottom of the solid bottle! 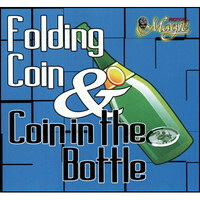 The bottle is then turned upside down to show that the coin does not fit through its neck. But when the magician shakes the bottle, the coin falls out of it! The coin is then returned to the spectator, and everything can be examined! This is a much higher quality folding quarter than some of the ones I've purchased from other magic shops, on Ebay, or at the local magic store.